Regulates perspiration and absorbs moisture. Aluminium free - without alum stone - without perfume - without alcohol - Paraben free. 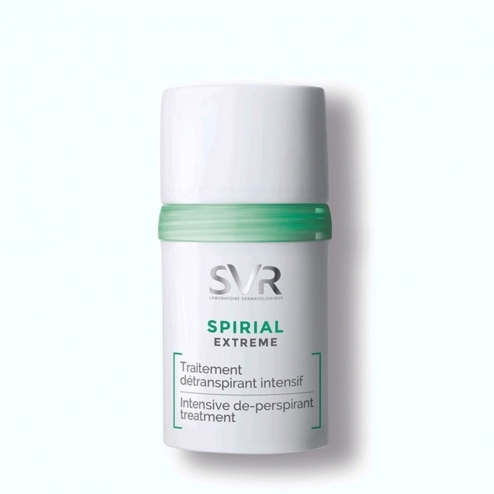 1 antiperspirant 48h WITHOUT ALUMINIUM SALTS, based on a natural sage original complex, horsetail and bamboo. Perfect for even sensitive skin depilated. Apply daily on clean skin. Formula INCI: Aqua (Purified Water), Cyclopentasiloxane, Bambusa Arundinacea Stem Extract, Glycerin Steareth-2, Crambe Abyssinica Seed Oil, Phytosterol Esters, Acid Lactid, Steareth-21, 1.2 Hexanediol, 2-Methyl-5-Cyclohexylpentanol, Caprylyl glycol, Pentylene glycol, microcrystalline cellulose, Disodium EDTA, Xanthan Gum, Equisetum Arvense Extract, Citric Acid, Cellulose Gum, Sodium benzoate, Potassium sorbate, Bisabolol, Citrus aurantium Amara (Bitter Orange) Flower Extract, Salvia officinalis (Sage) Oil.